Located off Highway 19 in Northern Florida, Fanning Springs State Park (www.floridastateparks.org/park/Fanning-Springs) is a great pick for wheelchair-users and slow walkers. 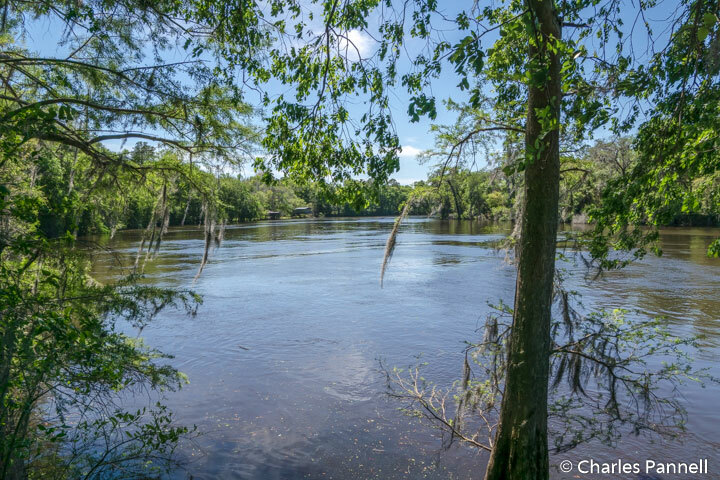 Not only does it make an excellent day trip from nearby Tallahassee, but it’s also a nice place to take a break on a road trip through the Sunshine State. 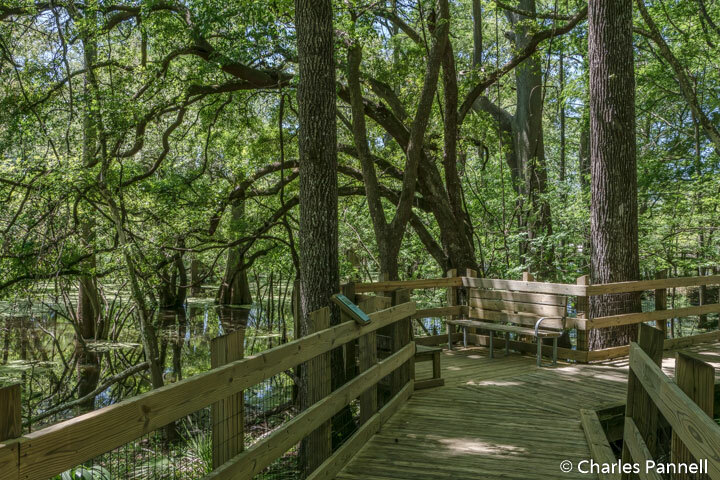 So pack a picnic lunch, gas up the car, and get ready to explore this must-see Florida State Park. There’s plenty of accessible parking in the Fanning Springs day use lot, with level access over to the picnic area. A very pleasant place to enjoy lunch, the picnic area features several accessible tables on hard-packed dirt, shaded by a lush grove of trees. If you’d prefer to have someone else do the cooking, there’s also barrier-free access over to the snack bar, which serves up barbecue chicken, rib and pulled pork plates, as well as hot dogs, cold drinks and ice cream. An accessible restroom is located just around the corner from the snack bar. But by far the highlight of this state park is the water itself. Fanning Springs produces less than 65 million gallons of water a day, so technically it’s classified as a second-magnitude spring. Still, it’s a pretty impressive sight. A paved pathway begins next to the concession area and leads down to the springs; however there’s only stairway access into the water. Alternatively, some wheelchair-users may be able to access the water from the nearby boat dock, which serves as the canoe launch site. To the left of the swimming area there’s level access over to an observation deck, which was formerly a diving platform. From there an accessible quarter-mile boardwalk winds along the edge of the springs and leads out to an observation deck. All in all, the boardwalk makes for a beautiful stroll, and you’ll probably even see a mullet fish or two jump out of the blue-green water along the way. The boardwalk is shaded by the vegetation, and there are several benches to sit and take a rest. And if you’d like to learn about the native flora and fauna, there are also a number of interpretive plaques along the boardwalk. Additionally if you hit this spot at the right time – from November to March – you’ll most likely be treated to a glimpse of the manatees that return to this site year after year. 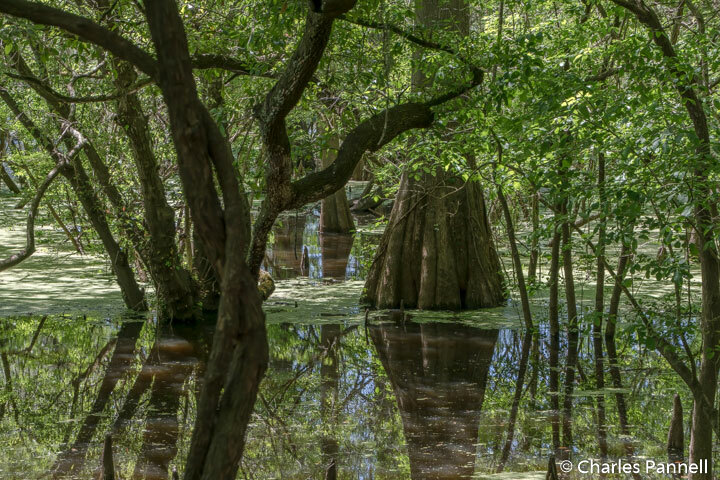 And that by itself is reason enough to work Fanning Springs into your next Florida itinerary.